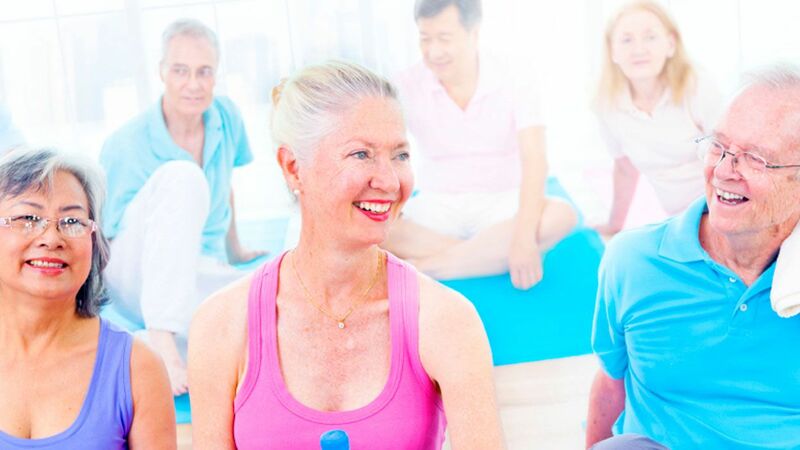 Better Bones is an integrated class of low impact aerobics and light weights to increase fitness levels for the 55+ population. Join us for a fun filled energetic fitness class with great music! This class is designed for the older population or beginning exercisers, but anyone is welcome and encouraged to join. All participants are motivated to work hard but to work at their own pace. We are here to exercise and have fun! This class is a total body workout. We will increase our flexibility, joint stability, balance, coordination,agility, muscular strength and cardiovascular and endurance. This workout starts with a warm up then an aerobic segment, followed by flexibility and balance continuing to resistance training using weights, resistance bands,tubing, stability balls. ending all the fun with a nice quiet relaxing cool down including more flexibility exercises.